James J. Hasson, son of John Hasson and Bridget Duffy, was born in County Donegal, Ireland on May 3, 1879. He immigrated to the United States and lived in the Cathedral Parish in Philadelphia, Pennsylvania, from which he attended Villanova College. On June 29, 1901, he entered the novitiate at Villanova and pronounced simple vows on July 2, 1902. He received his B.A. degree in 1904 and made solemn profession on July 4, 1905. He was ordained to the priesthood by Bishop Edmond Prendergast at the Overbrook Seminary in 1906. After ordination, Father Hasson served for one year at Colegio San Agustin, Havanva, Cuba. In June, 1907, he was assigned to Saint Laurence O’Toole Parish, Lawrence, Massachusetts. Two years later he was transferred to Augustinian Academy, Staten Island, N.Y. where he was appointed procurator in 1910. In 1911 he was appointed to Saint Augustine Parish, Troy, and then, in 1918, he was named pastor of Saint Thomas of Villanova Parish, Villanova. In 1924, he was elected a Definitor of the Province, and pastor of Our Mother of Good Counsel Parish, Ardmore. Father Hasson was prior and pastor at Our Lady of Good Counsel, Staten Island from 1932 to 1938. He then served at Saint Nicholas of Tolentine Parish in the Bronx, until 1945 when he was transferred to Our Mother of Consolation, Chestnut Hill, Pa., and in 1948 to Saint Augustine, Detroit, Michigan. In 1950, because of poor health, Father Hasson was assigned to Saint Thomas Monastery at Villanova. He was 81 when he died in New York at St. Vincent Hospital while on holiday, on September 8, 1960. Father James Donnellon, O.S.A., Prior Provincial, celebrated the Requiem Mass on September 13, 1960, at which Father John Fagan, O.S.A. preached. Father Hasson was buried in the Community Cemetery at Villanova. Newer Post Edward V. Hattrick, O.S.A. 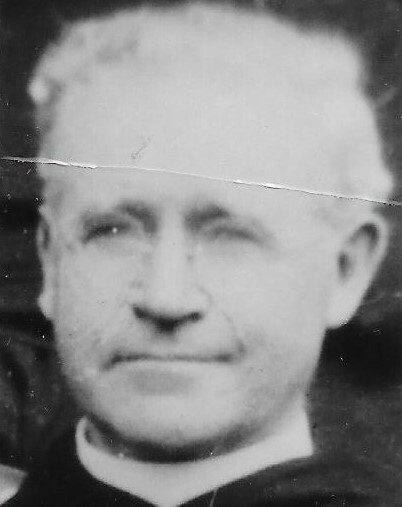 Older PostJoseph F. Hartman, O.S.A.